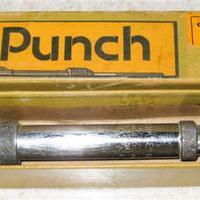 Mr. Punch automatic drill in original box. 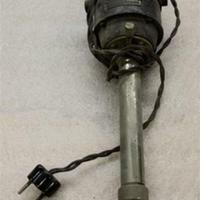 Corded drill. Has a European outlet plug. Made in Sweden. 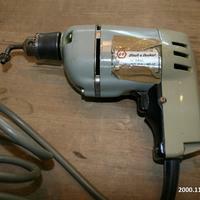 Black and Decker 3/8" drill. Plastic casing with drill chuck key and gray cord. Drill is gray in color with some tan tape above and below the Black and Decker logo. 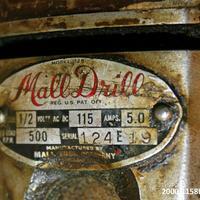 Heavy duty drill made by Mall Tool Company. Has key chuck and black cord and silver steel casing.